Mark was born and raised in Fresno, Ca. He graduated from Loma Linda University with a Bachelor of Science degree in Physical Therapy in 1975. He has lived and practiced Physical Therapy in Redding since 1975. Mark is married to Sherry and they have two sons, Trenton and Troy. He has been active in the Palo Cedro SDA Church and Redding Rotary Club. His activities include running (a 1996 Boston Marathon finisher), bicycling and vintage automobile racing. Matt was raised here in Redding and attended Liberty Christian High School where he played varsity basketball, baseball and soccer. 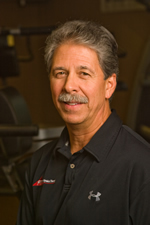 He received a Bachelor of Science in Physical Therapy in 1993 and a Master of Physical Therapy (MPT) degree in '95 from California State University, Fresno. Matt has worked in an outpatient orthopedic setting his entire career and is ASTYM certified. He enjoys running, mountain biking, softball and coaching his kids athletic teams. 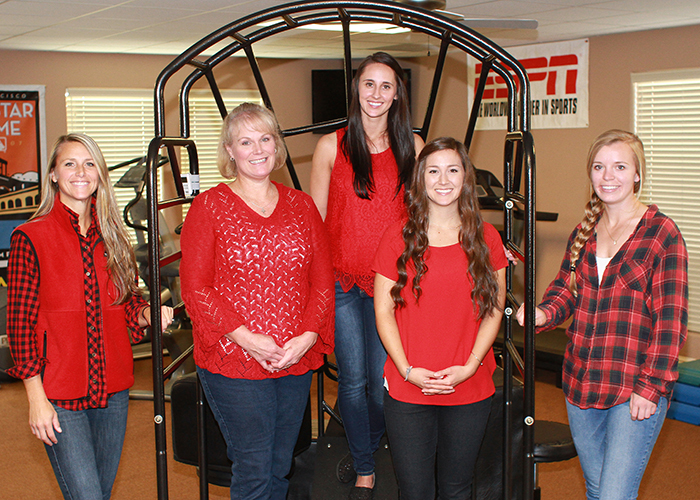 Matt also provides all the sports medicine to the Redding Christian High School athletic teams. Matt has been married to Tracy for 20 years and has two kids, Karson and Macie. Cecilia received her BS in Recreation Administration with an option in therapy, in 1991 from CSU-Chico. She has spent several years working in a pain management clinic and acute inpatient rehab as a Recreational Therapist. 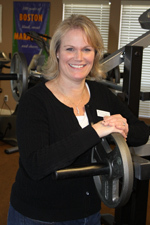 In 1996, she received her certification in Massage Therapy and began working in outpatient Physical therapy. Over the years she has had the opportunity to work with Physical Therapists who have shared their knowledge and skills. Cecilia enjoys playing with her lab puppy, Molly, along with snow skiing, kayaking, white water rafting, mountain biking, hiking, a good movie, attending church and spending time with family and friends. Michelle is a graduate from Foothill High School and San Diego Christian College. She obtained her BS in Sports Medicine while playing both basketball and volleyball on scholarship. She is a personal trainer and is NASM certified. She has been married to her husband Buck for 10 years and have two beautiful girls. Maci is a graduate of Liberty Christian High School and Simpson University and earned her Bachelors degree in Psychology. She has worked for FIT since 2013. She has been married for 3 years to her husband Jake. They enjoy working on projects around their house and playing with their 2 dogs. Kayla is a graduate of both Liberty Christian High School and Simpson University. She received her Bachelors degree in Psychology and played basketball for the Red Hawks. She resides in Redding with her husband of-2 1/2 years.